Break the cycle of weeds in your pond or lake ‐ for good. A chemical–free, environmentally sound mechanical system that uses a unique skimming mechanism to physically remove duckweed, watermeal, azolla and other floating weeds and debris from your water. Green is good – but not on your pond. Keep your pond or lake clear and healthy with ProSkim, an alternative to harsh, hazardous chemical treatments. 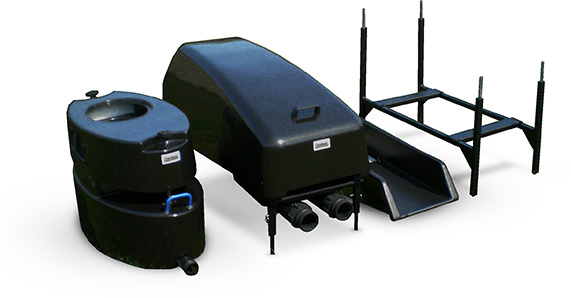 ProSkim uses a unique skimming system to physically remove duckweed, watermeal, azolla, and other floating weeds and debris from your water – breaking the cycle of weed growth. It's a safe, environmentally sound solution that is cost-effective and easy to operate. A perfect maintenance solution for groundskeepers and homeowners alike, ProSkim is now available for both purchase and rental.